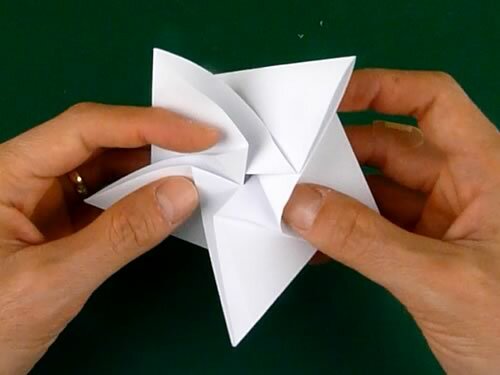 There’s videos of the folding process too. 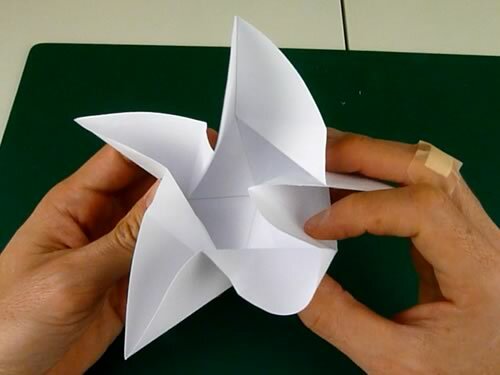 Fold up the bottom left corner to the top, then unfold again. 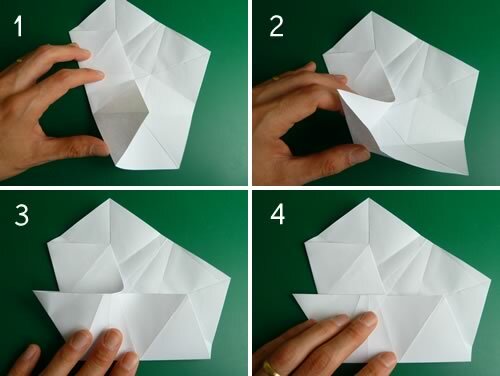 Fold the top left corner to the bottom, then unfold again. 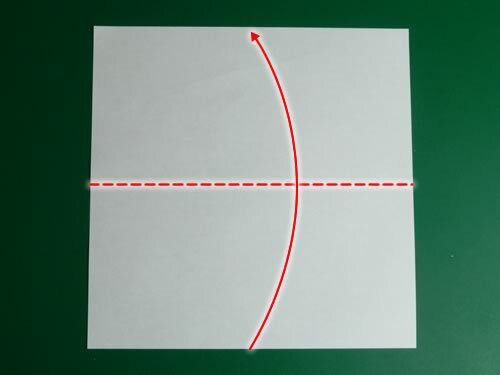 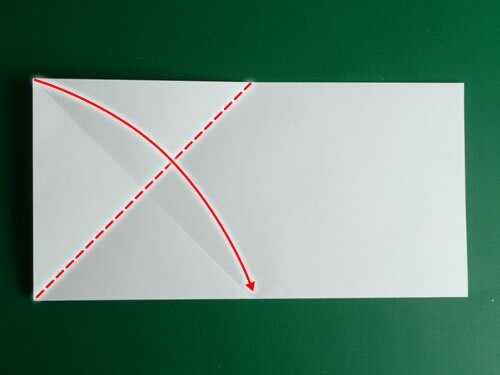 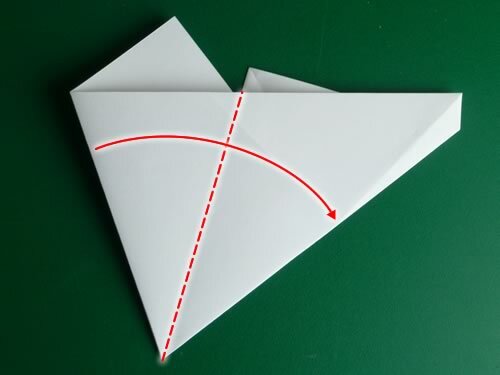 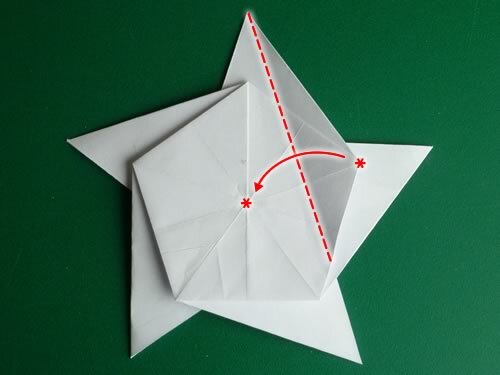 Fold the bottom right corner to the center of the X-shaped crease. 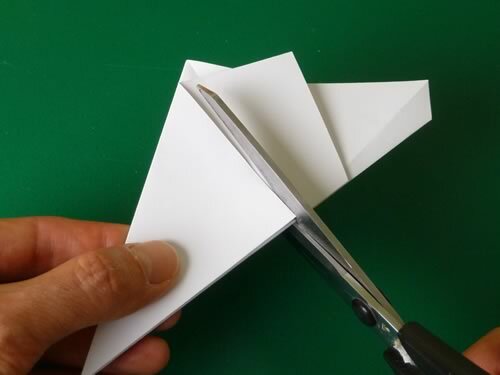 Fold the top layer in half. 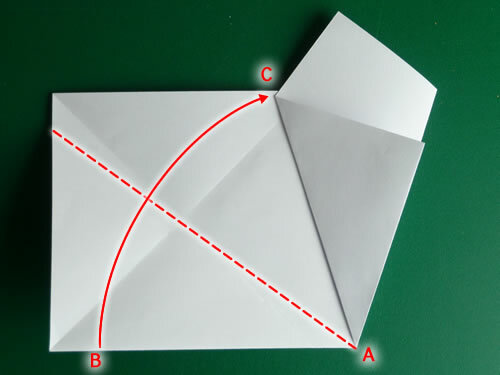 Fold up edge AB to lie along edge AC. 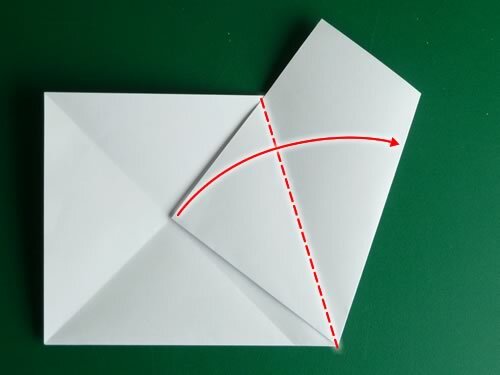 Turn over the paper. 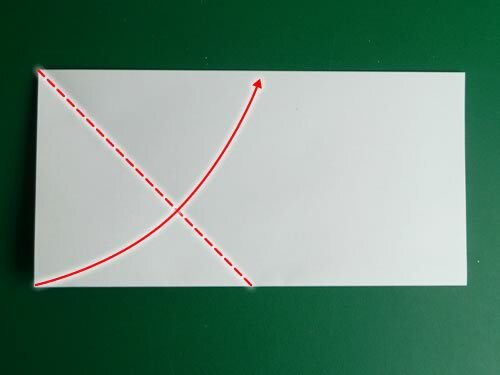 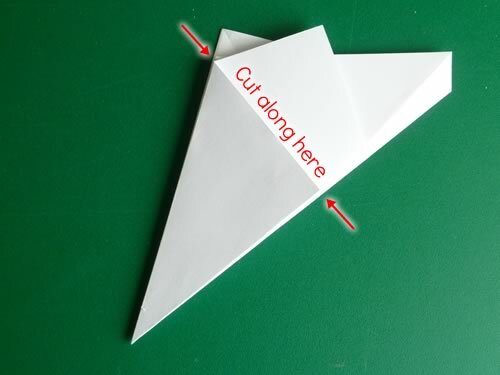 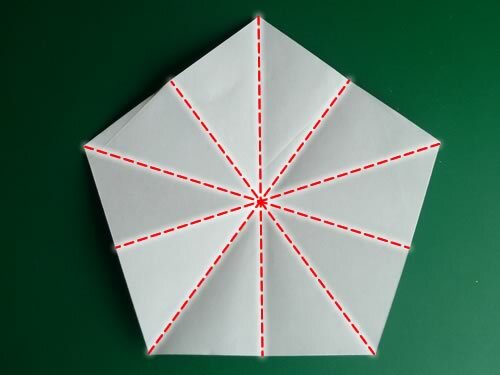 Then fold in half along this line. 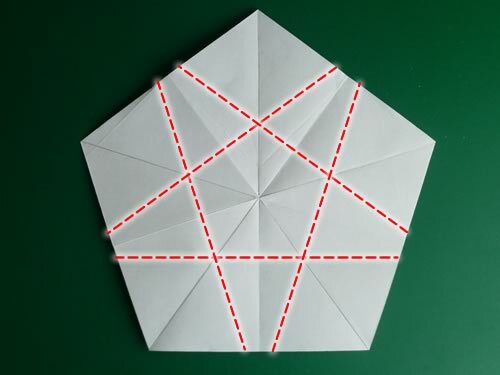 Starting with the pentagon completely unfolded, pinch all the corners together and squash them toward the center. 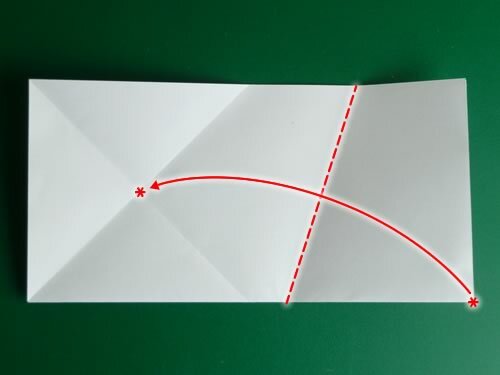 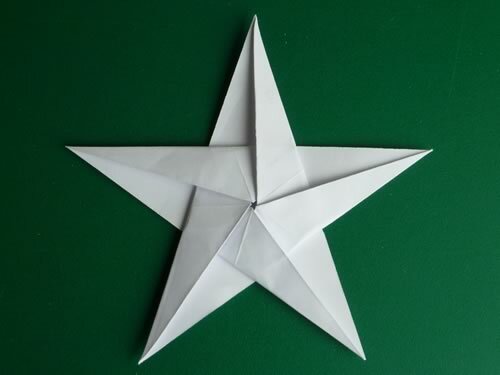 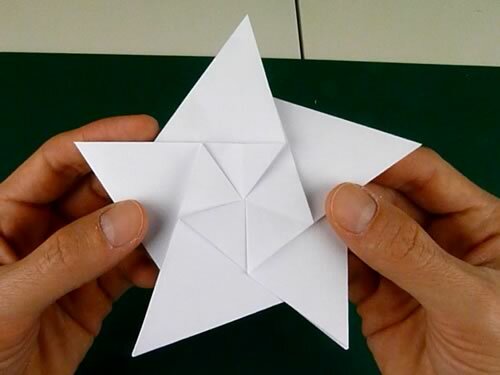 With a bit of “massaging” the paper will collapse into a star shape. 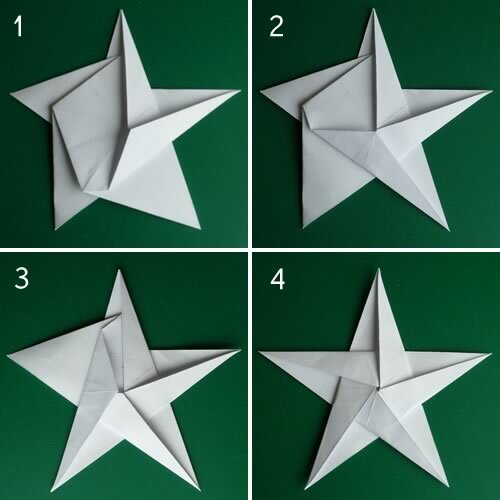 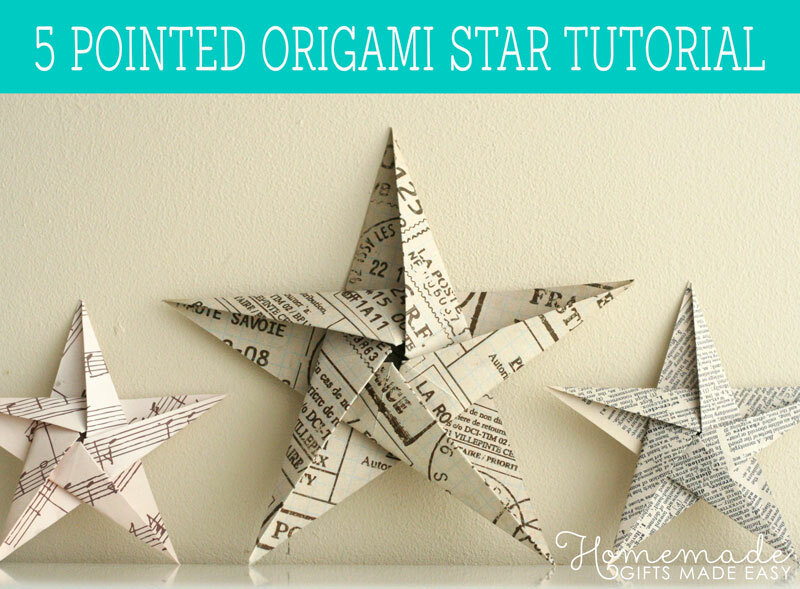 Did you make your star from one-sided colored paper? If you did, you’ll notice that there’s a white hexagon in the middle on the back. 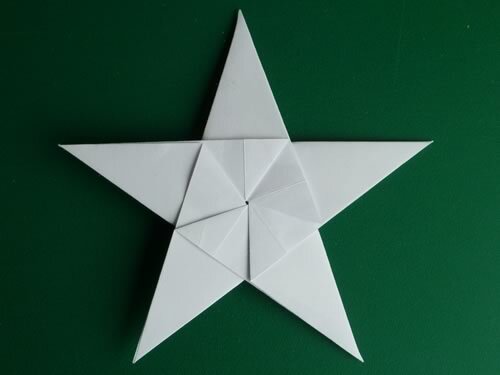 Do you want that hexagon to be colored, like the rest of the star? 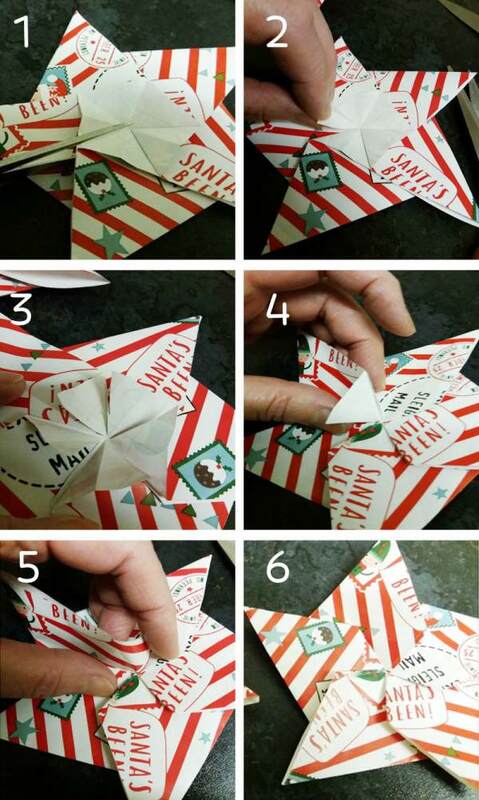 Here’s how, thanks to a clever tip sent in by reader Grace. 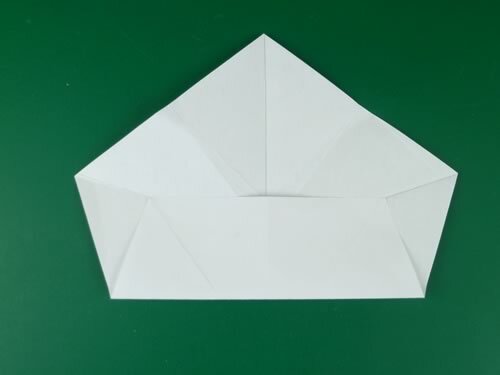 Thanks for the tip and the photos Grace!